Steam engines started the first industrial revolution. Combustion Engines changed the way people transport and move goods forever. Electronics and the Internet came and created new methods to communicate and do business. Whatâ€™s next? The challenges we are facing today as species are far too many and the stakes are high. The Earthâ€™s population will increase by almost 3 to 4 billions by the year 2050. How will we cope with the new demands? At the same time, we are destined to grow, evolve, build and create new innovative technologies and solutions. We have been doing that for thousands of years and we won’t stop. 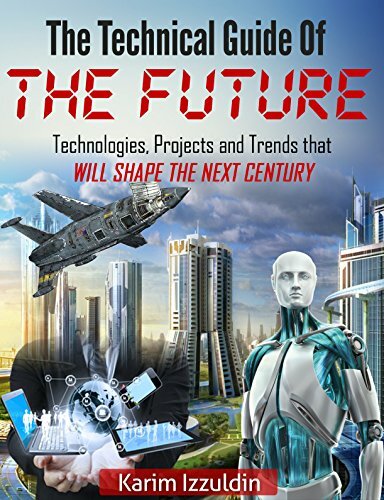 In this series of books, the author tried to list and explain technologies, projects and trends that have been lately discovered, implemented or still being developed, which will have a tremendous effect on our lives and our future during this century in an easy, simple and entertaining way that anyone can understand! The author is a mechanical engineer, entrepreneur and a technology-enthusiast who has been been interested in Technology, Science and Innovation since his childhood. Weather you are an environmental activist and a passionate fighter for a healthy humanity and Earth, a curious human being who wants to foresee the future and understand how the world will look like in the future or even a business man looking for a way to earn money and find technologies to invest in, these books are tailored for you.